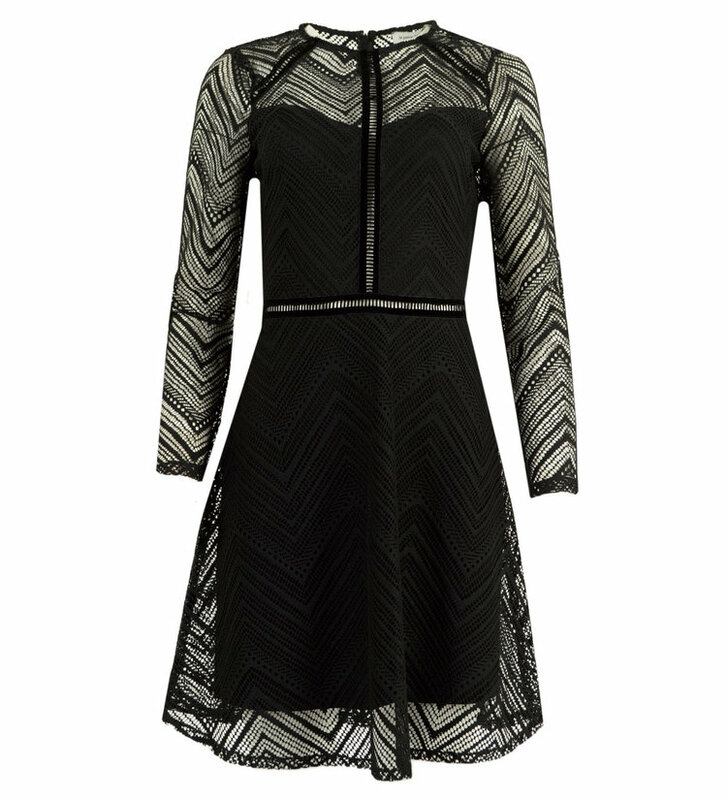 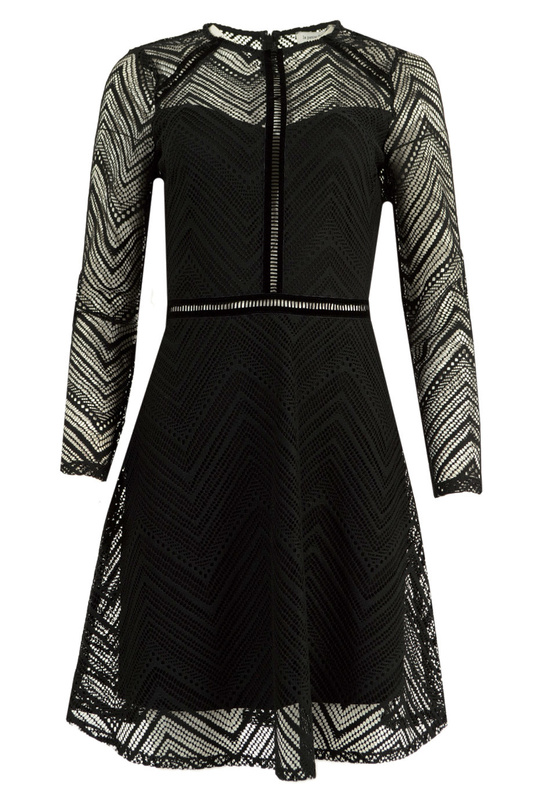 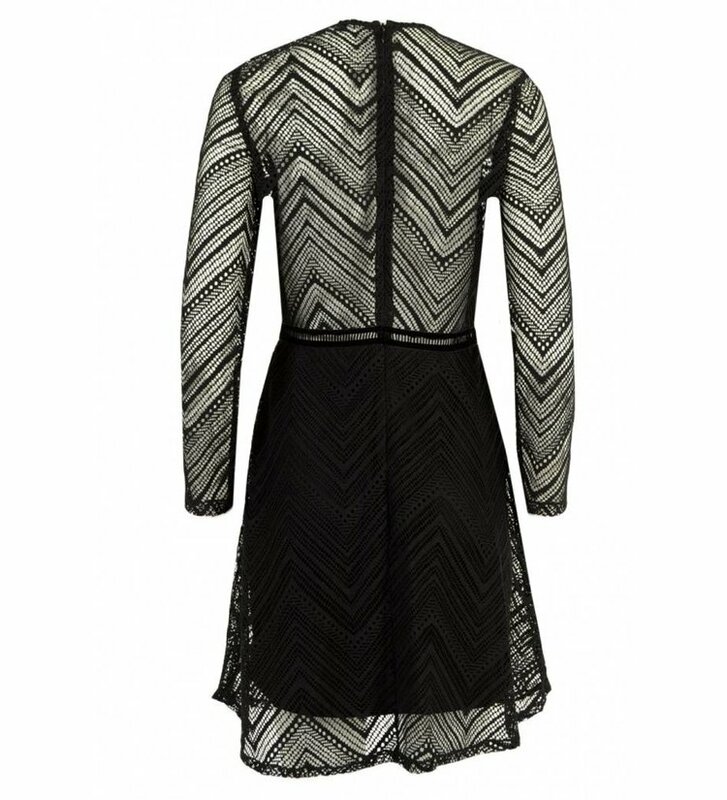 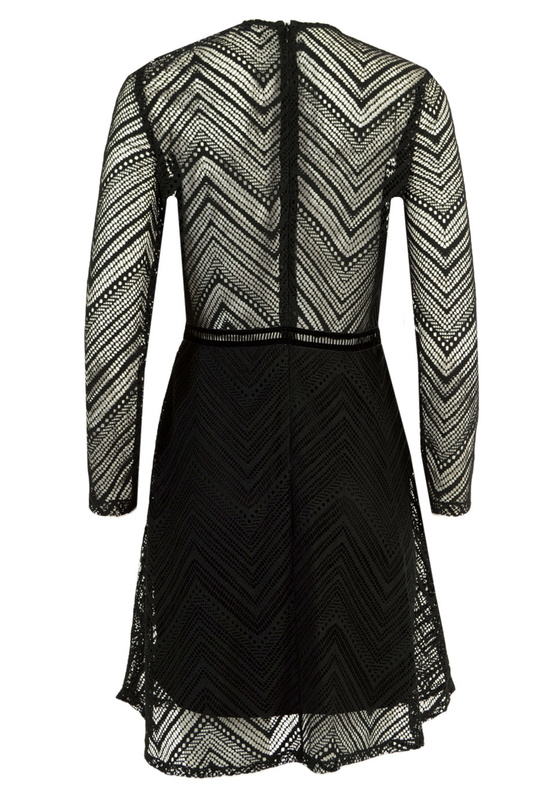 Festive Dress with semi-sheer lace panels Rejouie Dress Zig Zag from La Petite Française. The dress has a round neck, a zip fastening at the back and a slim fit with a flared skirt. 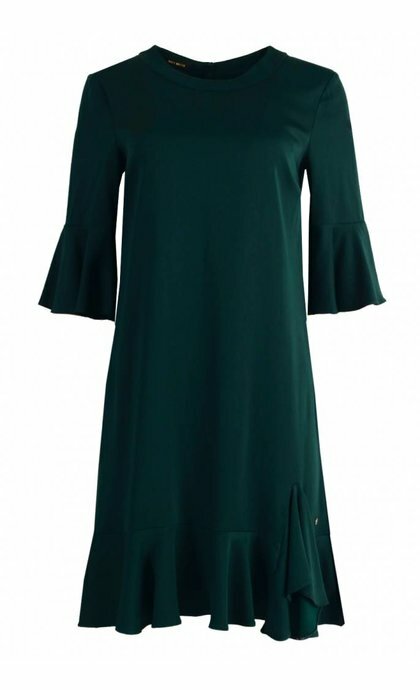 The dress is partly lined and has semi sheer sleeves and decolleté.